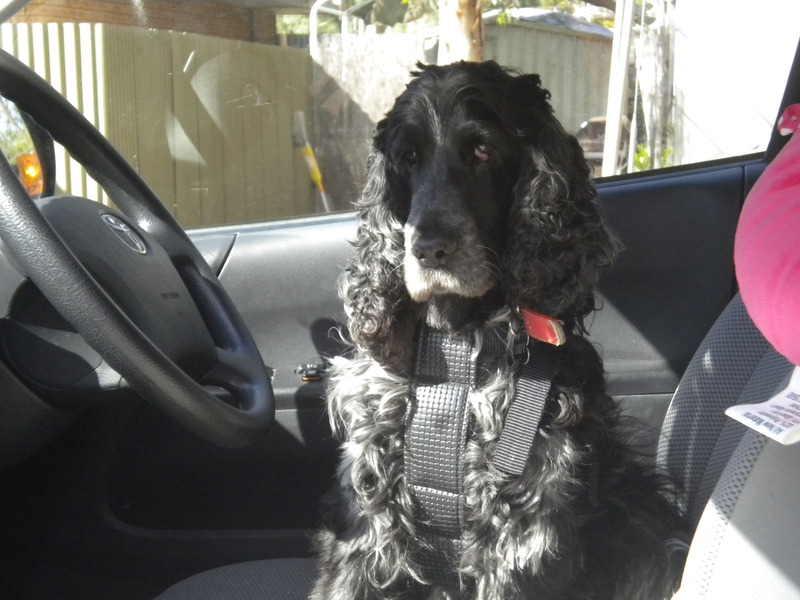 I spent four weeks in December on the road with my boyfriend and my dog, Buddy, in a funky campervan, travelling Australia. I stocked up my kindle with eBooks and my bag with paperbacks to keep me busy on the days where endless hours of driving are likely to send anyone insane. I was actually surprised that I didn’t end up reading as much as I thought I would. It’s amazing how the outback scenery (as flat and dry as it is) can be entertaining enough to keep me gazing out the window for hours on end! Even though I packed all the really thick books from my TBR shelf with hopes of tackling them on my trip- I didn’t even get through half of them. Nevertheless, my boyfriend and I are a little obsessed with collecting books- even though our TBR shelf is overflowing and sagging in the middle- we still bought more on our travels! I just had to buy a new bookcase to transfer all our textbooks from Uni over so that our main bookcases are just novels. We absolutely love to scour through second hand bookshops and it was so much fun doing this all the way from Sydney to Perth (and back!). 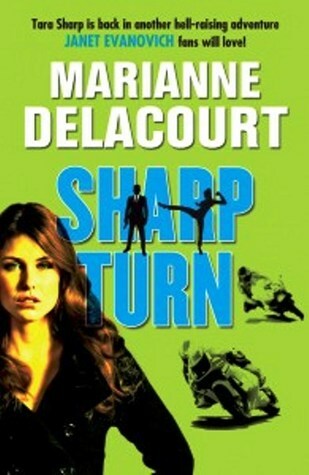 In Busselton, Western Australia, I was finally able to get my hands on a copy of Sharp Turn by Marianne Delacourt at Angus and Robertson. It is no wonder that I had to travel to the other side of the country to locate this book in a bookstore (instead of buying online) which is fitting, considered it is set in Perth. Adelaide’s oldest bookstore, Mary Martin Bookstore is also well worth a visit in the CBD. The most welcoming second-hand bookstore we visited was called Book City in Clare, South Australia. It was a warm day and I was standing outside with Buddy while my boyfriend browsed inside (we became very skilled at taking turns while shopping- the downfalls of travelling with a dog!) and the owner invited Buddy and I inside! I was a little hesitant at first and she waved us in with a big smile on her face. “Don’t worry we’ve had a lamb in here before, so your dog can certainly come in,” she said. I laughed out loud and went inside. So, that was Buddy’s first experience of a bookstore! He didn’t seem too fussed by the books, but was happy to be in the air conditioning. 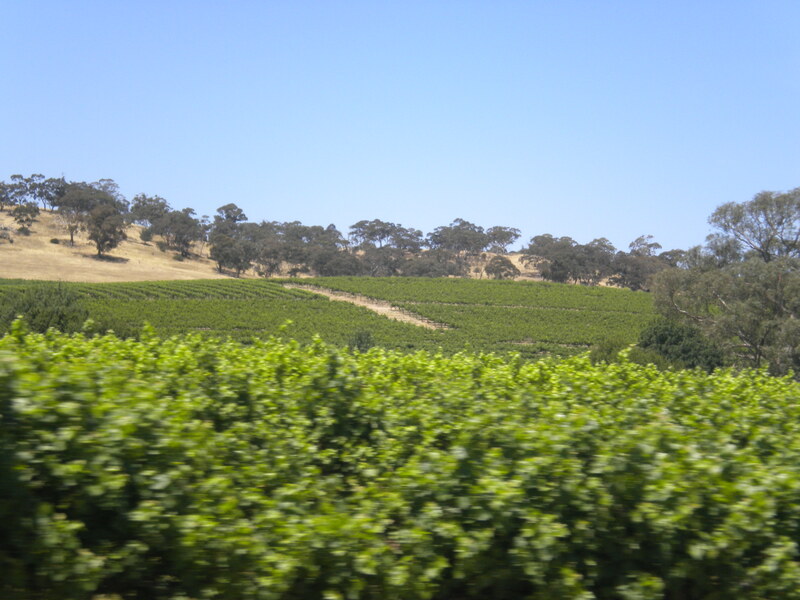 I must say, I truly fell in love with Clare, in the Clare Valley Wine Region. Truly picturesque rolling hills and vividly green vineyards. I had read about the area in some of the novels written by Australian Author and Clare Valley raised, Monica McInerney so the region was high on my to-visit-list. We stayed for four days but I could have lived there. To get into the spirit of the region, I even started to read one of Monica’s novels, Those Faraday Girls, before I realised that it wasn’t actually set in Clare Valley. Oh well. The highlight was when we visited Greg Cooley’s winery and upon browsing the guest book I came across a familiar, famous name. Monica McInerney! She had visited the same winery whilst in Australia a month before. When I asked the owner about it they said they were good friends with the family and although she now lives in Ireland with her husband, they visit Australia often. What a beautiful small town! Hi Jayne, your post has stirred up fond memories of buying books overseas. I found a copy of Sarah Dunant’s ‘In the Company of the Courtesan’ in a huge bookstore in the middle of Rome’s main train terminal. Somehow buying an english version of a book in a foreign language shop adds to the experience. I also visited a really cool shop in Istanbul where I drank cinnamon coffee while watching the chaos along the road from Taksim Square. Sounds like you had a wonderful time travelling around Australia. I envy you. Sounds like a great trip Jayne. I haven’t traveled much but about 10 years ago I went to New Zealand and had my first experience of a huge Borders bookstore with three floors in Auckland (there weren’t any in Australia at the time). I could have spent forever in there! Next time I go to Adelaide I really would like to spend some time exploring Clare. I grew up there but that kind of thing wasn’t on the agenda at that stage of my life. I highly recommend exploring more of Clare, it’s a beautiful little town. I especially loved cycling the Riesling Trail where the old railway line was. Jayne, I love the sound of your travels, and it’s great to hear you made it to WA! Wishing you all the best for 2012.